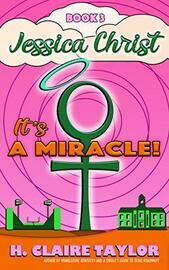 It would take a miracle for Jessica to live a normal life. Miracles happen when you least expect them. And if you’re Jessica McCloud, God’s only begotten daughter, they happen when you least want them. Is an uneventful senior year of high school too much for Jessica to hope for? Instead of focusing on college applications, Jessica must juggle Jimmy’s newest scheme, Eugene’s latest slander, and a gruesome (unpaid) internship at Midland Memorial Hospital. And just when she’s starting to get the hang of it, a serious PR blunder ignites a firestorm of brand new accusations. 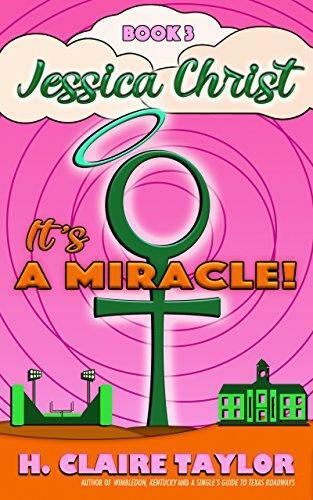 The third book in the Jessica Christ series, It's A Miracle! steps up the dark humor in a way that will cause you to rapidly alternate between laughing and groaning like a deranged maniac. Read in public at your reputation's risk.